How to access other website information from your website. How to learn Java and JSP? How to display XML DOM based data on a JSP client page? JSP server side validation for checkbox and radio buttons? How do you validate checkboxes and radio buttons in server side java? Image did not display from databse in browser through jsp tags. 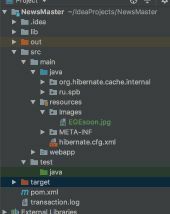 Eclipse error: Can not find the tag directory "/WEB-INF/tags"